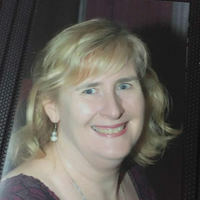 Susan Brosnahan is a Co-ordinator in the Secondary School’s English Faculty at Bangkok Patana School. She was involved with KLQ when she was the Head of an English Faculty in an international school in Shanghai and led teams from her school to Beijing to compete in the China Final. Susan is very excited to be bringing the KLQ to Thailand as she knows how much fun students have competing in the quiz and sharing their love of reading with their peers. Marj Brown is Head of History at an all girls school in Johannesburg, SA, called Roedean. She brought the quiz to SA in 2004, after seeing it in Yorkshire, UK. After fundraising and spreading the quiz slowly, it operates in 8 regions in SA. SA has hosted the International finals twice. Marj has many passions in life, but reading and History are two of them, and as a teacher she feels reading is important for many cognitive reasons, but also as a much needed escape for everyone. SA has many challenges in terms of literacy, and thus there is a limited pool of schools that can enter the KLQ. (About 90% of SA schools do not have functioning libraries). She thus started a literacy quiz, called Phendulani, and she fundraises to donate books and run a literacy quiz in schools that are disadvantaged. This quiz now reaches over 100 schools in SA. Kids' Lit Schools are twinned with disadvantaged schools, and help run the quiz. 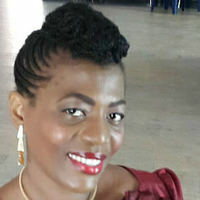 Maluchi Chukwuemeka is a voracious reader who obtained a bachelor of Arts degree in English and then proceeded to obtain a post graduate diploma in Mass Communication. Her love for reading and children made her think of organising an African literature quiz for children, and she went on a search to get ideas on the startup. She then discovered the Kids' Lit Quiz and fell in love with it. She believed that it would give Nigerian children a broader worldview in literature, increase their reading for pleasure and expose them to other cultures by way of interacting with other national reading champions and by travelling to the international competition. She assumed national coordination of the Kids' Lit Quiz in 2017. She's married with three children. 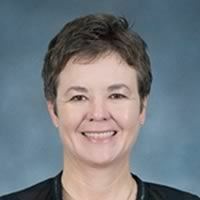 Nicole Deans comes from a background of teaching and libraries having worked in both schools and a University library over the last 30 years. She has a passion for books, reading and children and what she loves most about Kids’ Lit Quiz is that it rewards and celebrates children that love to read. The opportunities for children who take part in Kids’ Lit Quiz goes beyond allowing children to share their passion and be part of a team, they become part of an International Reading Community and have the opportunity to share books and experiences from all over the World. 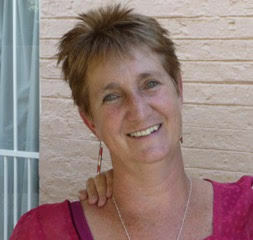 Sally Flint moved to Thailand from Tanzania where she was Head of English at an international school in Dar es Salaam. She is currently Head of Libraries at Bangkok Patana School where she has worked for the past 16 years. Sally is a passionate advocate of reading, the author of two picture books and co-author of a Parents’ Self Help Survival guide to the IB. Sally is thrilled that Bangkok Patana will be hosting the first ever Kids’ Lit Quiz in Thailand and feels privileged to be involved with an organisation that celebrates and rewards the pleasure that reading brings. 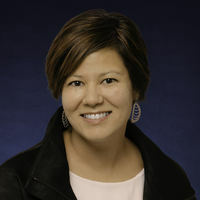 Tammi Flowers is a practicing corporate lawyer. She has been involved with KLQ since her son, Braden, was on the US Team in 2015. For the past two years, Tammi has assisted Dr. Kurkjian with various tasks for the US National heats and finals. As a mother of three, she is thrilled to be involved with an organization that celebrates and rewards children for embracing their passion for reading. Kidpublish is a children's book publisher, publishing books written by young authors (aged 6 - 15 years old). Annually we run a writing competition and storytelling festival in English and Bahasa Indonesia. We also collaborate with schools and bookstores in promoting skill development in reading and writing. We run many writing and illustrator workshops, summer programs and book launches throughout the year. Irene has been a library innovator for over 25 years, dedicated to raising reading standards and literary aspirations in all her roles. A passionate reader, she loves to inspire her students to widen their reading horizons and deepen their engagement with the power of story. No stranger to a national role, Irene has worked with Book Trust on selection panels for Book Buzz and the School Libraries Pack. 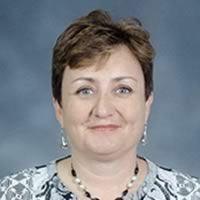 She has project managed a range of local, national and international programmes to support her schools. 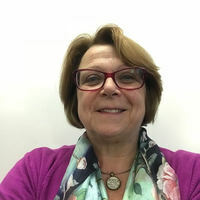 Irene believes that networking with other librarians is the key to developing good practice therefore in addition to being a CILIP member, Irene is currently treasurer of the Surrey Branch of the SLA. Currently in her 16th year at Tolworth Girls' School & Sixth Form, an Outstanding State school, she is looking forward to getting to know all the KLQ team. The regional coordinators play a pivotal role in the success of this national competition and Irene is keen to support them and build upon the legacy created by Jacky Atkinson. 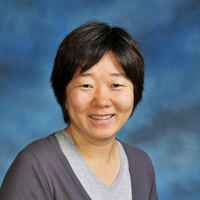 Jun Niu is currently leading the secondary library at the German Swiss International School. 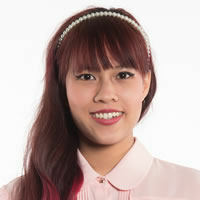 She has been an active member of School Librarian Association in Hong Kong since 2008. Before that, she was a children’s librarian in San Francisco Bay Area. Tabitha is a librarian with the National Library Board in Singapore. She is part of the Read[at]School team, a school outreach programme which aims to make reading exciting for students aged 7 to 17. She coordinates the Kids’ Lit Quiz in Singapore as part of the Read[at]School initiative, and is glad to support this competition to make reading a rewarding experience for students. What was the name of Bilbo’s home? Do you know the answer? Find out here!